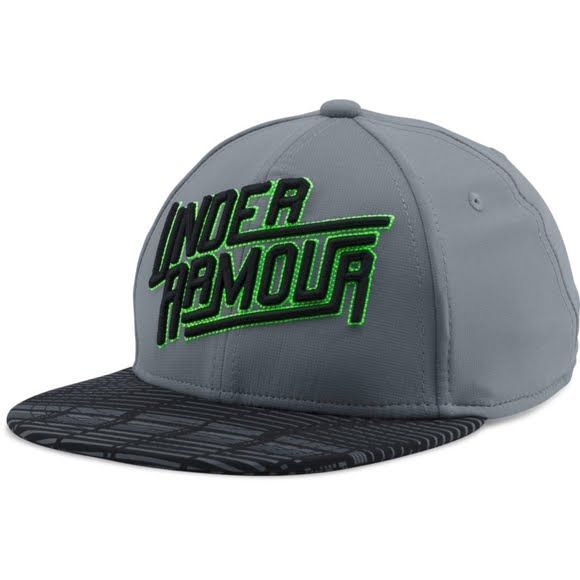 The Under Armour Boy's Youth Eyes Up 3.0 Flat Brim Stretch Fit Cap features a flat brim for a modern look. An embroidered UA wordmark with all-over graphics on the visor complete this "new school" classic. The Under Armour Boy&apos;s Youth Eyes Up 3.0 Flat Brim Stretch Fit Cap features a flat brim for a modern look. An embroidered UA wordmark with all-over graphics on the visor complete this "new school" classic.